Color: Reddish-brown, with a yellowish figure-8 pattern on the back of the head. The best advice for American cockroach control is to practice good sanitation. 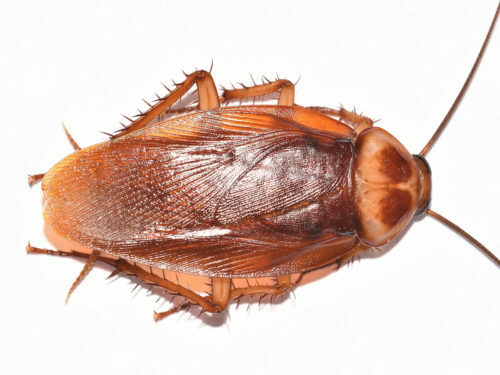 To prevent American cockroaches from infesting your space, vacuum often, keep a spotless kitchen, seal all entrances around utility pipes and ventilate crawl spaces to prevent moisture buildup.